This 12-track album opens with what is technically the second single Don’t You Love Me. It’s a slick, soulful track, although reminds me a fair bit of M People‘s cover of Don’t Look Any Further. It has an orchestral feeling with its soaring strings and percussion as Easther’s vocals take lead. This is a really nice track. 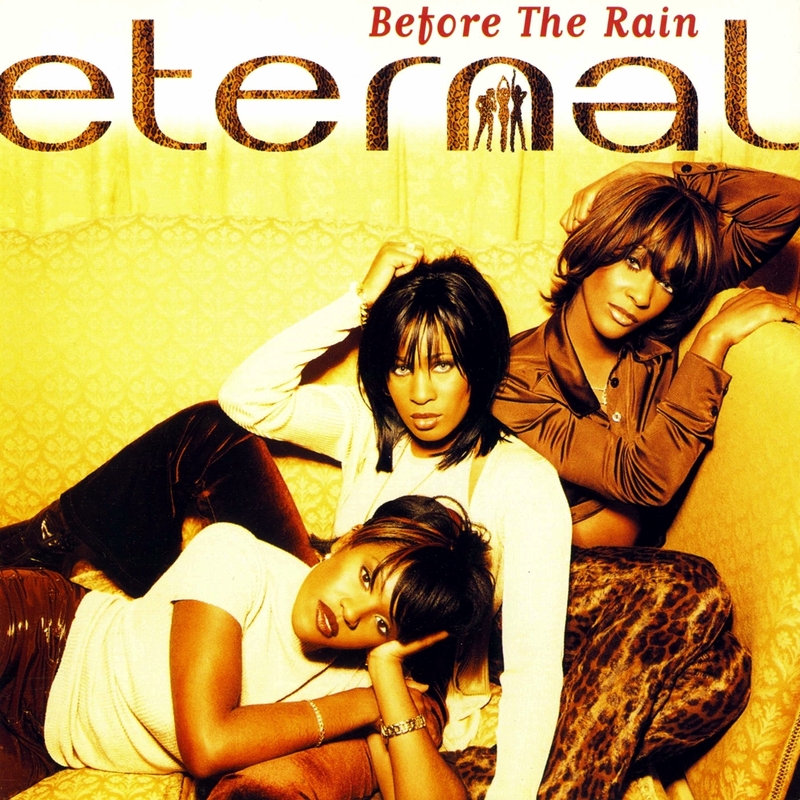 Next up is THAT song… the third single and their big, sole number one, I Wanna Be The Only One with BeBe Winans, who has written and worked with Eternal since their first album. This is a Bebe Winans co-written song, with legendary songwriter and producer Rhett Lawrence (Melanie C, Michael Jackson, Mariah Carey amongst many). The song soars vocally, with both Eternal and Bebe really shining, adding in pop and gospel styles. This is epic, and rightly scored them a UK number one. Next up is How More Tears, which by contrast is a slow RnB ballad. This song gently builds up from vocals, to adding in beats, synth, bass, and vocal harmonies. It’s a lovely sit-on-a-stool-and-sing-in-a-spotlight song, but one that could have easily have vocally been swapped with Whitney or Mariah, without anyone noticing. This was planned to be the fourth UK single, but was (thankfully) shelved when the Greatest Hits album came along. This is followed by Grace Under Pressure, again with strings making it a beautifully lavish sounding song – with cellos, percussion, harps etc all swooping throughout the track. Backing vocals come from The East London Gospel Choir, who give a perfect contrast to Eternal. Not unlike Don’t You Love Me, this song’s lyrics focus on struggling to live. Disney provide Eternal with the lead single from this album – and one that features Eric Clapton delivering a wonderfully intricate guitar section. The song, Someday, comes from the 1996 film The Hunchback Of Notre Dame. Again, this song could easily have been by Mariah Carey, but I’m glad that Eternal got it. The downside being is that it’s predictably orchestral and slow – predictable from a Disney theme song, and they get a crappy video with sentimental cartoon characters in it. The song was produced by Simon Climie of 80s band Climie Fisher. The pace picks up for sixth track Think Of Me, which is a mid-tempo RnB track featuring rapper Basil Reynolds. There’s some wonderfully warm vocals here, set against the hard beats. It’s pretty catchy, but definitely album territory. Up next, is Promises, which is another mid-tempo track, with a lovely bass line, but it’s quite a muted track. Despite that, its chorus is fairly catchy, in a slow catchy way. Again, definitely album territory. Kéllé gets lead vocals on her co-written track I’m Still Crying, and it feels like a totally different artist. Whilst it’s still undoubtedly Eternal, her vocals stand out here – much deeper and not quite as strong as those of Easther. Kéllé continues on the mic and co-writer duties, with a breathy vocal on All My Love. Sounding not unlike the previous song, but a slightly catchier and stronger song. Still, this was her final Eternal lead track. What Do You Mean When You Say is a semi-Christmas-sounding ballad, complete with sleigh bells, but it turns out to just be a slightly nauseating ballad instead. Up next is Why Am I Waiting, which is a great bass-driven track, that reminds at times a bit of Love Tried To Welcome Me from Madonna‘s 1994 Bedtime Stories album. Eternal get some wonderful vocals here. I think that this should have been a single, and that the dreary Disney fuelled Someday should have been pushed out of this album. The album closes with the acoustic guitar and piano led It’s Never Too Late (Interlude) – a short track allowing Eternal to thank their God, and reminding everyone that they should adopt him too because it’s never too late. I’ll pass thanks. This would be the group’s final album as a trio, and I think that it is pretty much on par with their previous album Power Of A Woman from 1995, which like this, had some real highs, but also some pretty boring medium to low tracks. Eternal do ballads well, but they also do belting tracks well too (not least because of their vocal range), so I get sad when I find that an album is packed with paint-by-numbers slow songs. A 16-track version of the album was released in Japan, and it bore two different singles: Finally, and Think About Me.